Do you want to add a Zazzle RSS feed into your Weebly site, but are thwarted by coding errors and lack of pictures? You've come to the right place! Weebly is a free website creation site. It's perfect for Zazzle sellers and associates looking to throw up a promotional site to display their featured products. At least, it would be, if the coding between the two sites was compatible. Designers and affiliates can easily add Zazzle products in one by one, but automatically updating them with a RSS feed from your Zazzle store is a little more complicated. Particularly if you wish to retain your referral ID along the way, in order to benefit from 15% extra commission. I've been reading all over the net that it can't be done. I do love a challenge. Here's how I cracked it. Weebly offers free and professional looking sites for your business, leisure or general messing around convenience. It doesn't mean they're all inclusive. This naturally wipes out half of the goodies in the Zazzle promotional tools section. What hasn't been stopped are feeds. 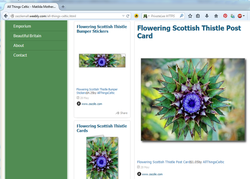 It's actually incredibly easy to add a Zazzle RSS feed onto Weebly. You merely create a page, grab the Feed Reader element and paste in your Zazzle feed URL. That was never the issue. The problem is that the resulting column doesn't load correctly, and looks minimalistic in the extreme. It's blank space. Granted though, the links do work and your referral code is attached to them. But from the point of view of someone trying to showcase their Zazzle products, it's ugly. The problem is that Weebly's cautious lock-down of digital languages and certain HTML code means that your feed is only being partially read. Which parts are probably downright obvious. The text is permissible. The image code is not. 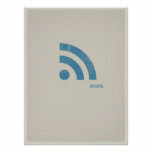 Unfortunately, that is the only mode of RSS feed that Zazzle offers. Weebly isn't the only content management site to eclipse some coding structures. All over Zazzle's forums, and the wider web, intrepid people have discovered work-rounds for those. But not yet Weebly. None of the above strategies worked and there was nothing else proposed in its place. 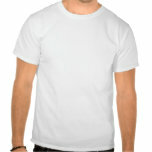 Instead Zazzle entrepreneurs have been using Weebly to display items individually added in. That's easy to do by utilizing the 'embed code' element, to paste in the code from Zazzle's 'link to me' section under the 'share' button. That takes work and constant updating. We could be making Zazzle products instead. Time is money and all that. So I set out to find a solution, and succeeded. It's a little convoluted, but it works. 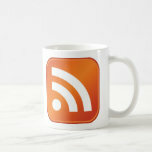 I'm going to be working on the basis that you want a general RSS feed for your Zazzle store on Weebly. There are plenty of other variations on a theme, but once you have the basic idea, you should be able to extrapolate from it. You can add RSS feeds to an existing account, but it won't create an array from the feed in a separate section. Rebelmouse is set up to amalgamate your social networking and random links, not to be exploited in the way that we're about to do. As you create your Rebelmouse account, you'll be urged at every turn to link up Twitter and everything else too. Resist! If you wait on until your e-mail is verified, Rebelmouse will give up on you and let you pass into the dashboard proper. This isn't strictly necessary in achieving our main objective, but your Zazzle products will be on display here. It's another promotional avenue, which potential customers can find, and it's respectful to Rebelmouse for facilitating your designs on Weebly. Plus it's something to do while you're waiting for the verification e-mail to come through. Here's mine for all your example requirements. In the top left hand corner of the Rebelmouse home page, there are three horizontal lines. Click this to access the backside of your site. Select 'Content Sources' from the menu thus revealed. Scroll down until you find the section to add a RSS feed. Type or paste in the URL that you constructed in Step One. But hold! Rebelmouse doesn't like you adding in your Associate ID too. While that's there, the 'add it' button will not illuminate in order to be clicked, thus added. Strip your URL down to the basic elements. This will be http://feed.zazzle.com/yourstorename. NOW the 'add it' button lights up a glorious blue. Don't click it. Go back to your URL and paste back in all the stuff that you just took out of it. The 'add it' button won't diminish again, and you'll be able to click it to flood your Rebelmouse home page with your Zazzle store's products. Be patient though. They'll come two or three at a time. It might take several minutes before they're all filling the page quite nicely. If you left the area, then return to the backside part of your Rebelmouse site. Below the list, wherein you found 'Content Sources', you'll see a fainter link which reads 'more'. Click it. In the menu that now appears, select 'Embed'. You'll be taken to a page where you can customize what you wish to carry across. Do what you will, though note that it all works perfectly on the default settings. Click 'generate', then copy the code that's... well... generated. Open up your Weebly page and drag an 'embed code' element into the main section. Then copy your Rebelmouse lines into it. Click anywhere out of the area and voila! 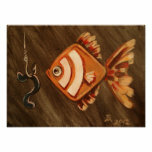 You have a fully affiliated Zazzle RSS feed in Weebly, pictures, products, referral code and all. Thanks SOOOOOOOOOOO much. It worked perfectly. Very much appreciated. Ah! That associate ID link part is always tricky, as we're effectively subverting the site code to make it happen. Just popping in to let everyone know that your method works. My Weebly isn't live yet, so I can't show it off. But trust me, it's fun and easy! One thing that I have to add. I don't know if it was just a me problem. When I went back in to add my associate ID to my link, I had to manually type it back in. When I tried to copy and paste it, the add button was disabled. If it's not Weebly, then you're as well going with Zazzle's store builder. All sorted for you in a zip file. 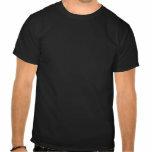 I've recently been wondering how to put my zazzle store on a website. You read my mind!